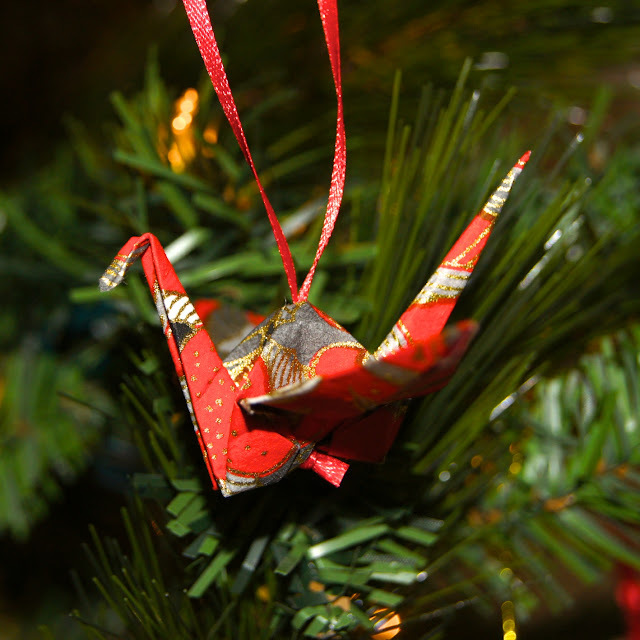 A sneak peek at our tree... trimmed for the season with handmade washi ornaments and garlands in red, black and gold. 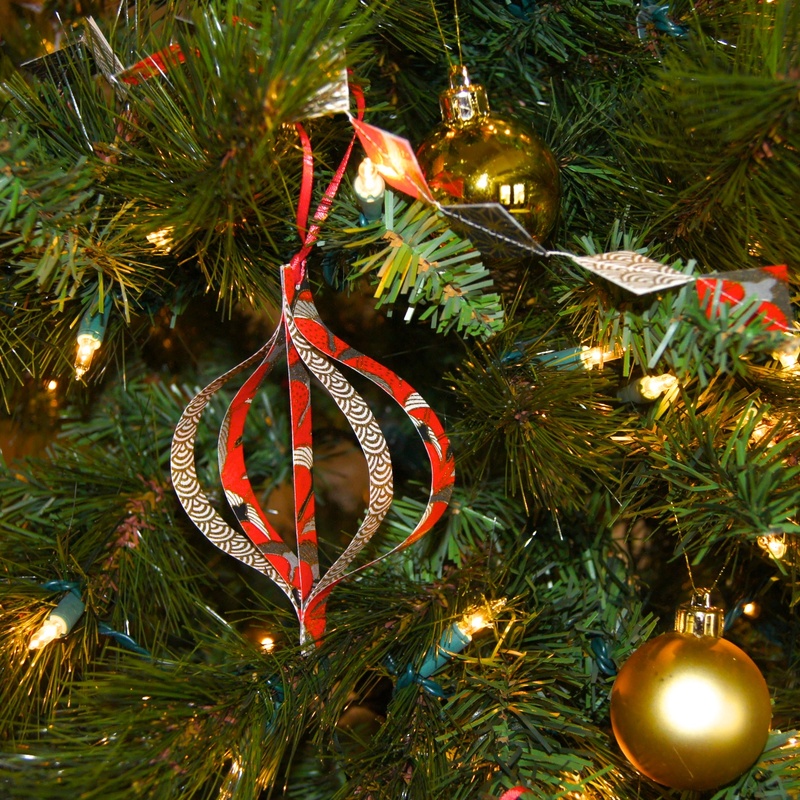 Do you make your own ornaments? We try to add a little something handmade to our tree every year.